At the end of this post you will have successfully created your first Service Contract, along with your Model, and Resource Model. A lot of this will feel familiar from Magento 1.x. So don’t worry, it’s not too different! You’ll soon start to feel comfortable! Magento 2 has a lot of new conventions, and a few of those I’ll be covering today. The first of which is it’s use of PHP Interfaces. Our blog module will only require one database table, and that table will be named: ecommage_blog_post, namespaced so we don’t conflict with other tables, and descriptive of what it relates to. Our model will be called Post. So we’ll need to create an interface for our Post model before we get started! Specifically the interface we’re creating is referred to as a data interface. If you want to learn more about how interfaces are used, devdocs.magento.com have some excellent posts covering this. is_active – boolean value if the post is active or not. This interface has defined all the setters and getters we would use when interacting with our model. It also outlines all the methods we must implement! So, let’s create our Model! * Available event blog_post_get_available_statuses to customize statuses. As you can see we have implemented each method from our PostInterface interface. You will also notice we have implemented a second interface too, Magento\Framework\DataObject\IdentityInterface. This interface is used for models which require cache refresh after creation/updating/deletion, and models that render information to the frontend. This simply requires us to implement the getIdentities() method. Which will return a unique ID for each instance of our model, that is cacheable. getAvailableStatuses – Along with the two constants, we can use this to restrict what statuses can be used. checkUrlKey – This will allow us to check if a post with that URL Key already exists! $_eventPrefix – a prefix for events to be triggered. We’ll cover this more later. __construct – Where we inject dependencies we use in our resource model. _construct – Where we initialise our resource model, like we would in Magento 1.x this is where the database table and ID column is defined. load, if the user provides a string instead of an id we try to load the model against the url_key column as that is still a uniquely identifiable column. _getLoadSelect allows us to filter to only active posts. We don’t want to load inactive posts! _getLoadByUrlKeySelect allows us to select items by a url key. isNumericPostUrlKey is a validation method to see if our url key contains numbers. We don’t want numeric url keys! isValidPostUrlKey, make sure the post url key is actually valid with a simple regex check. checkUrlKey, check if a URL Key exists in the posts table already. Finally, we need a Collection resource model. The collection model will allow us to filter and fetch a collection of blog posts. As per Magento 1.x, this is going to look familiar. Nothing new here really. We initialise our Collection with both our model, and resource model. 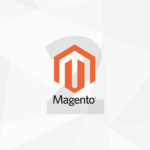 So, how do we use our resource model in Magento 2? Well, a factory object is generated that handles instantiating our collection. We can inject this factory into our blocks (or wherever we want to use our collection!) and then we can do as we please! I’ll cover this in the post where we create our controllers, blocks and templates. And that’s how you create and models & resource models for interacting with a database. Did you notice we didn’t have to write a single line of XML? Huzzah! Yup, Magento 2 has done away with having to register your models and resource models. Ok! We have covered a lot, in the next post I’ll be covering how to create our table through Setup scripts. I’ll also be touching on Upgrade scripts too. Until then, let me know in the comments what you think, or any questions.